VV Collaborative Community work parties are starting soon! Tue Mar 5, 6:30-8:30pm Main Street Village Vancouver March: Meetup Intro to Vertical Gardening (Little Mountain Neighbourhood House). Westside Food Fest has been extended to August 20! Over 100 free activities and workshops in twenty plus locations around the Westside! Register for individual activities and workshops on Eventbrite. For workshop and activities at Community Centres, please register on Vancouver Recreation. For more info: VV Facebook or wff@villagevancouver.ca. Westside Food Fest starts today! 6-7 weeks @35-40 hours/week between June 28th-August 15th, 2018 at our Field House office in Strathcona Park. Deadline for Applications: 11 am Wednesday, June 27th, 2018. Please submit a cover letter indicating your interest in this position and your eligibility for employment, and a resume, including three references and their contact information, by email to ross@villagevancouver.ca. 7 weeks @35 hours/week between June 13th-August 8th, 2018 at our Field House office in Strathcona Park. Deadline for Applications: 4 pm Tuesday, June 12th, 2018. Please submit a cover letter indicating your interest in this position and your eligibility for employment, and a resume, including three references and their contact information, by email to ross@villagevancouver.ca. Highlights: A dozen plus workshops. Highlights: Over a dozen workshops. Garden work parties start. Sat Jan 27 11:30 am-1:30 pm Spice up your Garden with Garlic! Village Vancouver wishes you a peaceful and fulfilling holiday season, and a just, sustainable, and resilient 2018. Workshops, our 8th Annual Neighbour Savour community potluck (Oct 24th), Slow Food/Slow Everything Day (Dec 2nd), A Harvest Celebration, and lots more! - food, music and fun! - family-friendly, free event for all! --- 10:30-2:30 Kids, take a picture with WeBee! Thanks to all our funders, community partners, and participants for making this a successful festival. Watch for the 2nd annual Westside Food Fest in July 2018. An afternoon at the Library: Lots more than Books! TODAY - Last day of the Festival! Thanks to everyone who applied. The positions have now been filled. 30 hours/week each. July 16th-August 26th, 2017 @ our Field House office in Strathcona Park. Deadline for Applications: 9 am Thursday, July 13th, 2017. Please submit a cover letter indicating your interest in this position and your eligibility for employment, and a resume, including three references and their contact information, by email to ross@villagevancouver.ca. Village Vancouver is seeking an energetic and organized individual with a passion for community development to assist with administrative and program duties associated with the day to day business and longer term community andenvironmental goals of this dynamic non-profit society. Please see our website at www.villagevancouver.ca for more information. Location: Field House office in Strathcona Park. ross@villagevancouver.ca by 9 am on June 2nd. Join Societe Le Village, Village Vancouver, Kits Community Centre Collaborative Garden, Westside Food Collaborative, and Kits Vancouver Public Library at this family-friendly event for a fun filled afternoon of interactive and informative gardening related activities. Help plant the patio garden. Make and take a starter. Learn how to save seeds and take some seeds home. 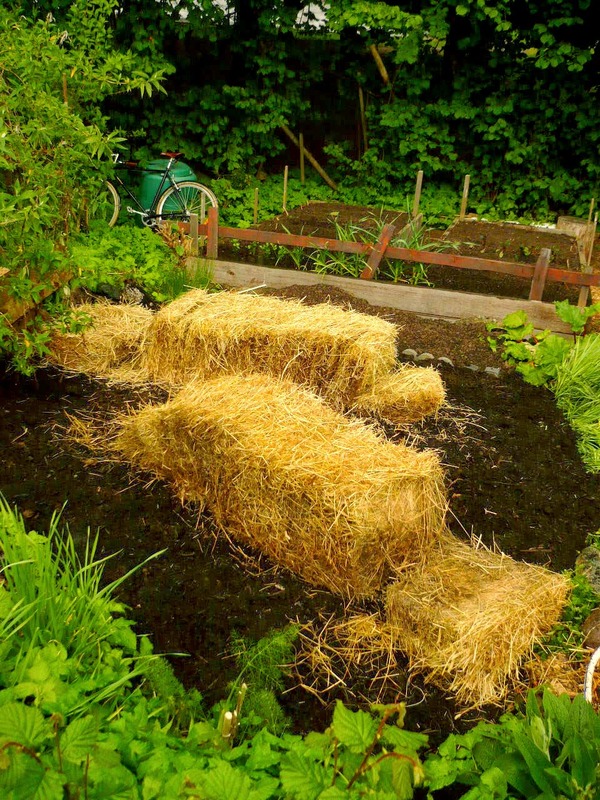 Explore Community Gardening opportunities. Meet on the patio of the library. We hope you're enjoying the summer. 2015 has been a great year for Village Vancouver. We're starting to make plans for our 2015 AGM, which will be held on Monday, November 23, and all indications are that 2016 promises to be even better! With this in mind, we'd like to remind you that, in accordance with our bylaws, if you're considering running for a position on the board at the AGM and aren't a member of Village Vancouver Transition Society, you'll need to apply for membership in the Society no later than Tuesday, August 25.
on the VV website and filling out the application. Please note that being a member of the website is different from being a member of the Society, and that you need to be a member in good standing of VV Transition Society (applying no later than Tuesday, August 25, 2015) in order to be eligible to run at the November 23, 2015 AGM. If you have any questions, please contact us at agm.vvts@gmail.com. Click here for our June Newsletter! 2 New Seed Sharing Library Launches (& plant swaps) this week! Over 40 people attended our two seed library launches last week. Thanks to everyone who participated, and be sure to stop by the Kits or Mt. Pleasant branches to pick up some seeds! Join us at any of our 11 activities on the 6th and 7th around Vancouver & Burnaby! Click here for our May Newsletter! join us at any of several Village activities! See Events for a few specific Walks, but check them all out here. 35+ social & environmental justice films over 4 days that go to the heart of issues confronting communities here & around the planet. Ticket information & more details at www.just film.org. Join us for a conversation about how Emily Carr University engages with Village Vancouver and view several creative new Seed Libraries. It's Election time! Please VOTE! Saturday, November 15, 2014 is General Voting Day for local elections throughout British Columbia. A quick open note to all members of the Village Vancouver Website about email spam. We don't and won't allow it. We never have. We also never release any member email addresses. Every member of this website has complete control of exactly what email messages are received from the site, such as announcements of our monthly newsletter, local Village announcements, invitations to events, comments on a blog post, or what have you. On your unique member Email Settings page (linked from this text), if you decide to, you can toggle off any or all emails from this site. The final button at the bottom of that settings page shuts off all emails from the Village Vancouver site entirely, including your friends on the site, your local Village coordinators, and Village Vancouver as a whole. (Remember to press SAVE.) You have total control over your inbox. Use it wisely, and please stay in touch. As you may be aware, gardens representing over 10% of community garden plots in Vancouver are under threat of removal by CP Rail. For further information and/or if you'd like to help support the Arbutus Corridor gardens and green space by signing the online petition: http://cypresscommunitygarden.ca/arbutus-corridor/. Village Vancouver is pleased to be a Community Sponsor and once again offer a dozen plus events, activities, and workshops, in partnership with various Community Centres, Neighbourhood Houses, Neighbourhood Food Networks, other community groups, and the Vancouver Public Library. Over 60 events in all, at close to 30 different locations around town. May the reading begin!The May Village Vancouver Newsletter and Upcoming Events is here! Click here to see what spring brings! Bee village, Chicken village, Bat Houses, Seed library (get free or swap, donate seeds), Solar panels, gardening and native edibles advice, free tomato and arugula plants, Permaculture, Community Arts, Placemaking, Sharing Economy, alternative transportation, ecovillage, organic home delivery, bike maintenance, bike trailers, asset mapping, waste projects and materials repurposing, games, farmers field school, DIY, Homesteading, Food Networks, Megaphone, Emergency Preparedness, member projects, library, hospitality suite, sauerkraut making demo, imagining your ideal neighbourhood visioning posters, FUN AND CELEBRATION and much more! Just Say Hello!, Kits Space Project, Homesteaders Emporium, SPEC, The HUB, MODO, SPUD, Blessed Bee, Madame Beespeaker, Daily Eggs, Vancouver Neighbourhood Food Networks, Mt. Pleasant Neighbourhood House, Vancouver Renewable Energy Co-op, PosAbilities, Can You Dig It!, Building Caring Communities, Cottonwood Community Garden, O.U.R. Ecovillage, Sundog Clothesline Co., others TBA. Beekeepers - join us at our beekeeping village and connect with other VV beekeepers. Chicken folk - join us at our backyard chicken village and connect with other VV chicken keepers. Big Thanks to everyone who helped make our 100 in 1 day Permaculture Blitz a success, and to everyone who participated in one of the 83 "interventions" across the city on 100 in 1 Day! 100 in 1 Day - June 7th! Join us Today for a Permaculture Blitz as we restore and expand a medicinal plant, herb and pollinator garden! Create an intervention that will make Vancouver a better place. What if hundreds of people united, each putting in place the changes they wish to see in their city, all on the same day? This citizen-driven festival will unite people across the city to make Vancouver a better place by creating acts of urban change. We ain't foolin'!The April Village Vancouver Newsletter and Upcoming Events is ready for your eyes! Click here to let them feast on this latest oeuvre! If you missed Richard Heinberg's talk at UBC (presented by VV in partnership with UBC Sustainability), here's a link to the video by Villager Justin Ritchie (The Extraenvironmentalist). Village Vancouver, CoDevelopment Canada, Amnesty International, and Langara College are teaming up to bring you the 13th annual Just Film Festival (formerly known as the World Community Film Festival) . Featuring 40+ social and environmental justice films over 3 days that go to the heart of issues confronting communities here and around the planet. Richard Heinberg Returns to Vancouver! Climate change? Australia had an especially hot 2013. We in Vancouver have been basking in the sun more recently, but the bigger picture is defining what Anthropocene really means. Yes, WE are changing the world...and not for the better. Can't blame this on El Nino either. Read more here. The November edition of the Village Vancouver Newsletter and Calendar of Events is now ready for you! Click here to check it out! The principles of Transition are at the core of an article in the Tyee here or here. Our thanks to Christine Boyle, Seth Klein, and The Tyee for writings of such moral clarity in difficult times. AVIVA COMMUNITY FUND - Voting has now ended. Final results will be announced in a couple days. Thanks for your support! Spend 5 seconds to help get Village Vancouver to the Semi-Finals and win a $50,000 grant! We've moved up 5 spots yesterday and are now in 16th! With a strong turnout between now & the end of voting Monday morning at 9 am, we can reach the top 10 and advance to the Semi-finals. You can also choose to register on the Aviva site thru facebook. It's fast, you don't have to give Aviva a password, etc. And we have a facebook event page - please invite your friends to vote! 1. Establish a Demonstration Transition Neighbourhood. 2. Identify, nurture and measure replicable components of a resilient, sustainable community, focusing on food and how neighbours can deepen contacts with each another. 3. Create an asset map to identify key projects and areas where gaps exist. 4. Identify, encourage and incubate new projects. 5. Develop toolkits and resources for enabling sustainable communities in Vancouver and present these toolkits and resources to other neighbourhoods to help them incubate and build capacity through their own initiatives. You can also choose to register on the Aviva site thru facebook. It's super fast, you don't have to give Aviva a password, etc. We've also set up a facebook event page - please invite your friends to vote! As you know, Village Vancouver has done a lot with very little over the past five years to build stronger communities in our region and to catalyse projects that bring us closer to the more sustainable, resilient, connected and livable world that we all need so urgently to build together. To take our efforts to the next level, we need more resources. With the 2013 Aviva Community Fund grant competition, we have the opportunity to obtain those resources. Please VOTE once a day for the next 14 days from Nov 12 - 25. It only takes about a second to vote. With enough votes, you can help propel Village Vancouver into the Aviva grant semi-finals to win $50,000 to build a neighbourhood transition toolkit that will drastically accelerate our journey to a more positive and resilient future for the Vancouver region! The top 10 vote getters advance. Last year we got off to a very late start, and still finished 14th out of 564 entries in the up to $50,000 category. This year we're starting much earlier and need your support to advance. 1. Establish a Demonstration Transition Neighbourhood project in the Vancouver neighbourhood of Kitsilano, currently home to many vibrant neighbourhood-based sustainability projects. 3. Create an asset map to identify key projects and their contributions to the objectives of reduced ecological footprint and increased resilience, and areas where gaps exist. 4. Identify, encourage and incubate new projects that help fill the gaps, while helping projects link to one another. We can do this! All you need to do is vote for Village Vancouver's entry to the Aviva Community Fund here:http://www.avivacommunityfund.org/ideas/acf19115. You can vote once per day until November 25th, and every vote brings us closer to this goal. Ask your friends to vote for us too! There are thousands of members of the Village Vancouver community. If each of us votes even once or twice (but hopefully much more than that! ), we have a great shot at winning $50,000 for Transition in Vancouver! Deepen your support by becoming a contributing member of Village Vancouver! Of course, voting is not the only way that you can help. You can also make a huge difference by becoming a contributing member of Village Vancouver Transition Society. Even if only a small percentage of our community members become dues-paying members of the Society, we can very quickly raise the funds that will allow us to engage in change-catalysing projects without depending exclusively on grants. Will you make a difference by becoming a member today? 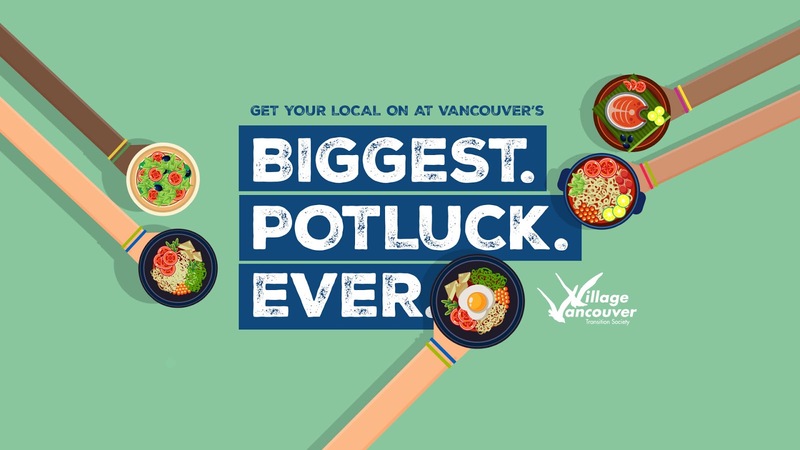 Thanks for all you do in the world, and remember, vote for your very own Village Vancouver, every day for the next 14 days if you can! Vote EVERYDAY for Village Vancouver to help us win a $50,000 grant! Today, Sunday, and Sunday between 9pm & the end of voting Monday at 9am. We figure it will take 850 votes today and tomorrow and about 600 votes Sunday night/Monday morning to get to the Semi-finals. You can also choose to register on the Aviva site thru facebook. It's super fast, you don't have to give Aviva a password, etc. We've also set up a facebook event page - please invite your friends to vote! Vote for Village Vancouver to help us win a $50,000 grant! DAY 12 UPDATE: Your vote could help put us in the Top 10 TODAY with only a few days to go! Thanks to your ongoing support, we keep moving up...but we still have a ways to go before we reach the Top 10 and advance to the semi-finals. Haven't started voting yet? Last year, hundreds of Village supporters didn't vote until the last day or two -- every vote helps, but unfortunately this huge wave of support came just a little too late to get us over the top. Let's not come up short this year - please don't wait until the last minute! Vote today and everyday, until voting ends at 9 am on Nov 25.